Awesome Card like always my friend. Luv that paper that you used. Love the Halloween card! Awesome card! LOVE your halloween card! The paper is beautiful! Your cut is just perfect for this awesome card! Fabulous card I love Halloween. Awesome job Katie!! Love the paper you used. Fantastic Halloween card. Love love love it. I love anything Halloween and this card is just as cute as can be. Thanks for sharing. What a cute way to get ready for the season! The calendar is just perfect! This is an awesome Halloween card. It's very mature, a sort of step away from all the cutesy stuff. I love it!! Beautiful job! I always love seeing your cards and getting some great ideas. TFS! I love this card! I can't wait to see this set and die! I like your style when you make cards, you like alot of the same stuff I like and I love this card its is fabulous love the paper you used. Never dispointed with your creations. soooo cute! I love the blue with the orange! :) the calendar looks perfect on the pattern paper! Great card!! I love it!!! TFS!! Love it! Perfect Halloween card. Just awesome. Very very cute! Love the paper and the orange ink makes it pop! Great card. I love it!! Super cute Katie, and I love that little brad at the end of the sentiment.. very nice touch. That witch is a great cut. Great job on your card...love this release! Really love this die and coordinating stamp. That witch is really neat. Your card is so well put together. A great card today!!! Thanks for sharing!!! Great vintage feel to the card. I love the syle of this card. Great image and stamps- how can you go wrong. Wow, I'm loving all the different ways the team is using the calendar and die! This is awesome! Fab card! love the polka dot paper and the inking you did! just gives it that touch of vintage! makes me smile! I love your Halloween card. Gorgeous card Love the colors and the die cut how perfect! Love the hint of blue with the fall colors! Such a great card! An adorable Halloween card. It is a more grown up card and I love it.!!! Another wonderful creation! TFS! I also love how you just used the witch without the layers! You showcased Emma's set beautiful. So gonna have to have this one. Such a cute card. I love the brad on the sentiment. As always another amazing card. Great card Katie! I love the Halloween theme! I love this Halloween card, The new stamps, the polka dot paper and the witch, so so cute!! Great idea! I love that paper with the halloween words on it! Such a very cute ccard! Cute card. You girls have knocked it out of the park with your beautiful projects again. 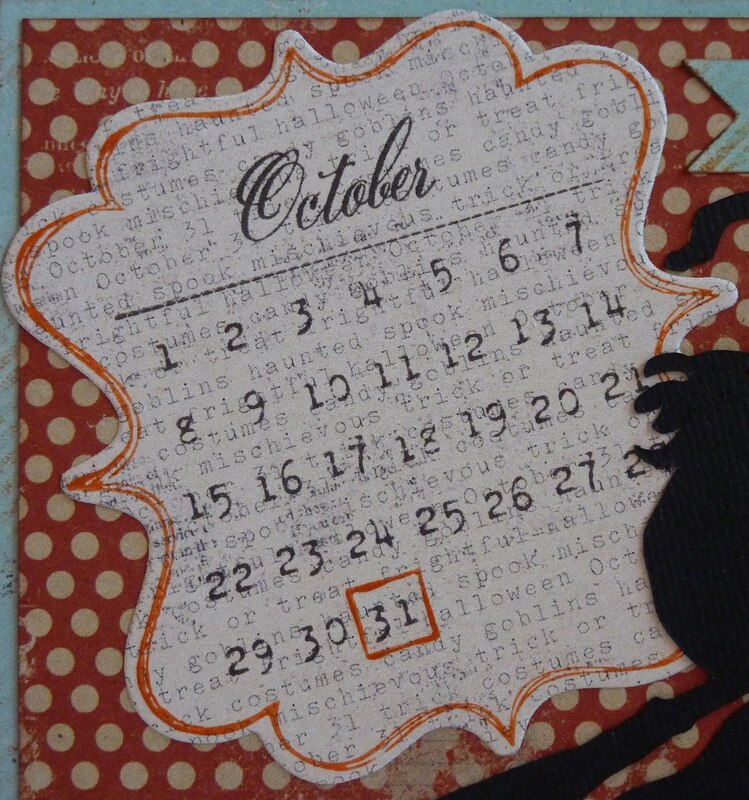 Lovely card, the calendar fits in so well with your theme. That is what I love about this calendar stamp you can use it for so many occasions. I love the calendar idea!! Super cute!! Very, very cute Halloween card!! How cool is this?!!! What an excellent idea, love that witch all in black!!! Your layout is so cute! Love the banner! Awesome projects. 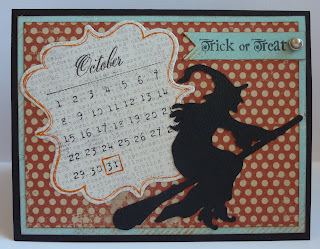 love the whole card the witch is cool love love the stamps thanks for sharing and for the chance to win.